BCV Architects is part of a team, led by Jamestown, that has been awarded the opportunity enter into exclusive lease negotiations for the development of the Pier 29 Bulkhead building along the Embarcadero waterfront. The team’s vision for the Bulkhead won unanimous support from the selection committee and the Port Commission at its most recent meeting on April 26. The Port noted the quality of design, cohesiveness of program and emphasis on locally-made goods and manufacturing as defining factors in its decision. Top left: Pier 29 site plan. Top right: mezzanine plan. Bottom: floor plan. 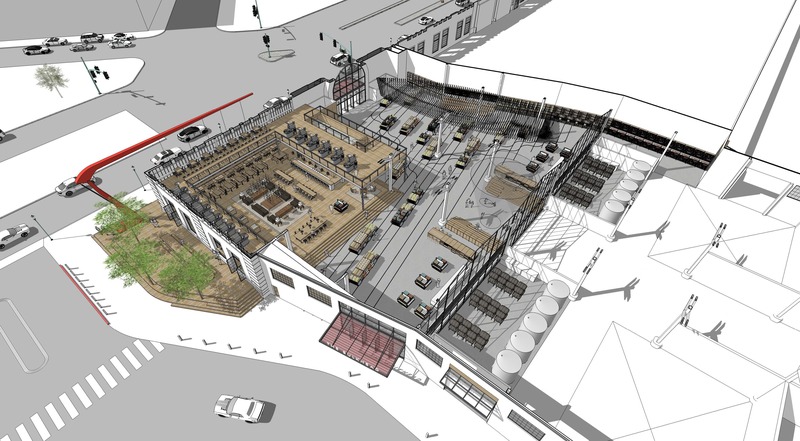 An aerial view of The Bulkhead showing café, retail and beverage production space, as well as outdoor public gathering space. 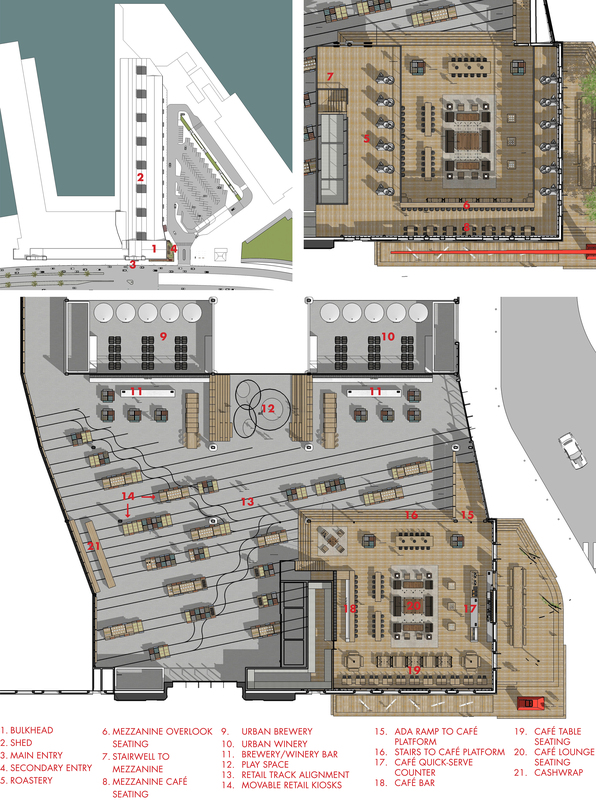 Conceptual views of the main entrance to The Bulkhead, large-scale art and public seating/gathering areas. The project creates a welcoming new waterfront destination for residents and visitors alike. 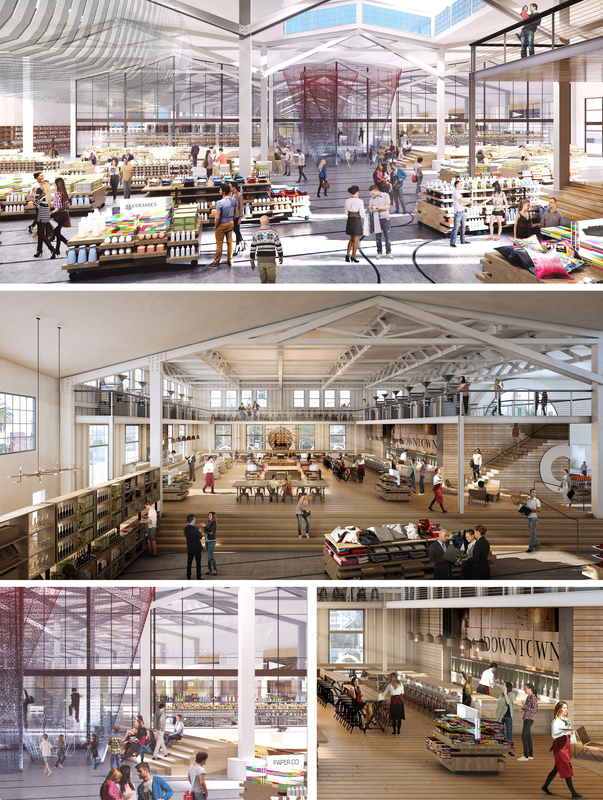 It will be a uniquely San Francisco venue– a hub to purchase goods and gifts authentic to the region; a platform for the enjoyment of local craft beverages; and a flexible public amenity that will enhance its surroundings along the Embarcadero. 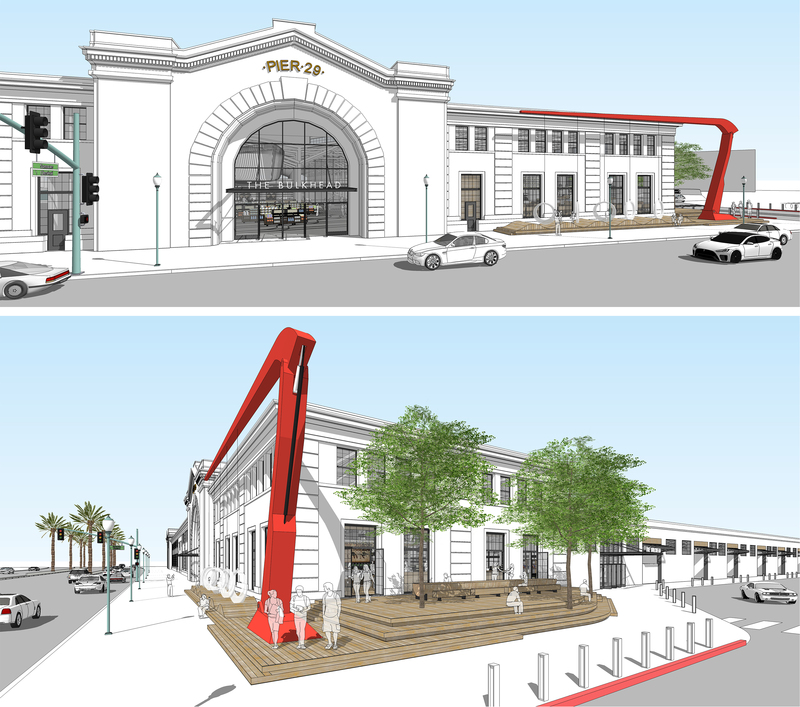 Team members include Page & Turnbull, Gehl Architects, Plant Construction, Holmes Culley & Fire, and local partner SFMade.